Sailing yacht 'Armonia' is stylish, modern & luxurious and she is available for charters in the Mediterranean throughout the year. Sailing Yacht Armonia is a gorgeous charter boat which is very ‘easy on the eye’ and has been designed and created by the internationally renowned Warwick Yacht Design Team based in New Zealand. 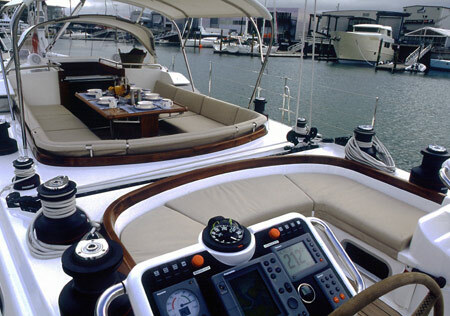 In Armonia, Warwick Yachts has created a yacht with elegance and style. 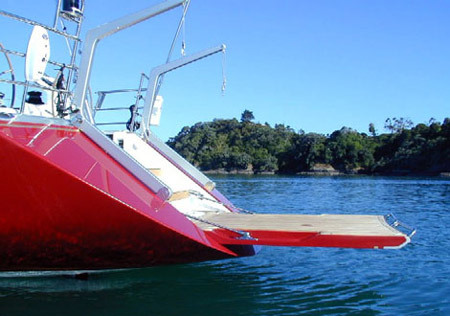 The yacht, however, also combines exceptional sailing performance by utilizing the lasted sailing systems and technology. She has been crafted and built with the use of modern composite materials and down to the smallest detail she exudes quality and craftsmanship. 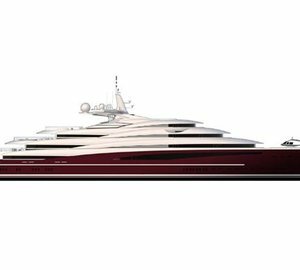 Further, careful planning and clever design has resulted in the creation of a yacht which boats comforts only normally only found on a much larger and longer yachts. The liberal spaciousness of Armonia’s main living areas has translated into excellent entertaining, dinning and hospitality space making her very well suited as a charter yacht. 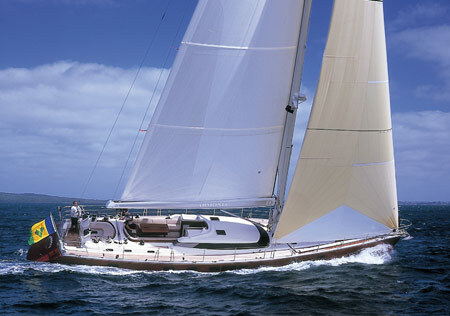 Armonia offers superb cruising in comfort and style and is well appointed for relaxed sailing or performance sailing. Though powerful under sail, ease of handling is ensured with her fully battened mainsail which furls into the boom and her efficient self-tacking headsail. 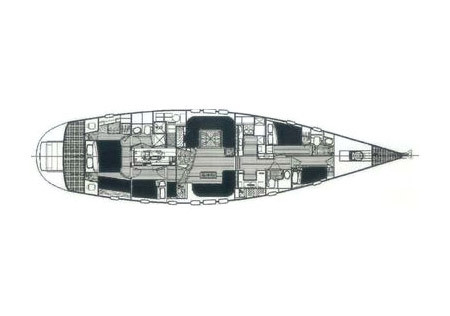 Armonia also provides a tremendous sense of interior light and space via the careful design and placement of portholes in her hull and coach roof. Whether standing or sitting, yacht charter guests are able to enjoy the panoramic views of the beautiful Mediterranean waterways to their fullest. 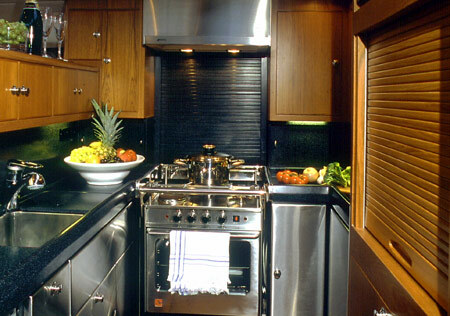 The sailing yacht’s galley area is well appointed, while modern electrical communication and entertainment systems allow those aboard to do as little, or as much as they desire. Come and sample sailing bliss in either the Eastern or Western Mediterranean on a luxury ‘Armonia’ yacht charter. 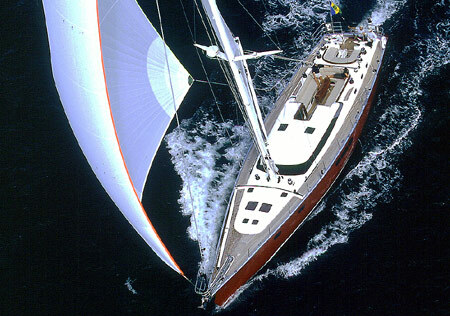 Luxury sailing yacht 'Armonia' provides accommodation for four charter guests in two well appointed and spacious cabins. 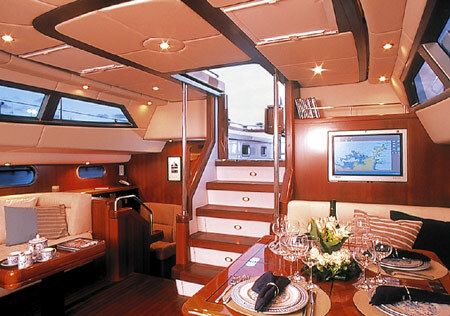 The master stateroom is located down to the aft of the yacht and it is the full beam of the yacht. 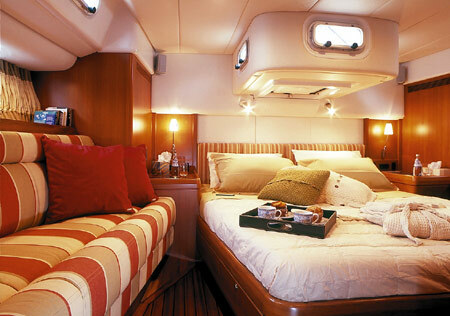 The master cabin boasts a large berth, settee lounge as well as a private ensuite bathroom. 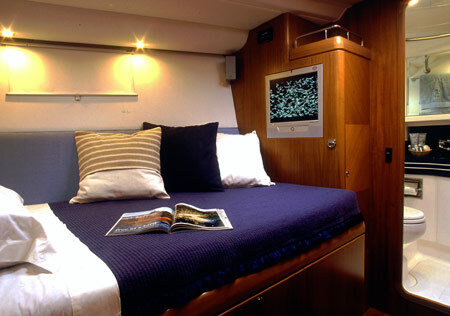 There is also another cabin which has two single bunks that adjoins the main master stateroom. This cabin is ideal for children. Armonia's second guest suite is located forward of the main salon and it is a double. Both cabins have their own private ensuite bathrooms. The crew’s quarters are two single bunks. The crewed Mediterranean charter yacht 'Armonia' includes the following amenities and facilities: Entertainment: She has a 3.40 m tender with a 25 h.p. outboard, scuba dive equipment for organised rendezvous, Air conditioning., CD and radios in saloon and all cabins, sat system in saloon and owner’ s master cabin, Satellite telephone & fax.